From busy schedules to heaping hampers, the Kenmore 7.0 cu. ft. Electric Dryer w/ Wrinkle Guard takes the hassle out of laundry day. Choose from 4 different drying temps or air dry to ensure that even your most delicate fabrics get the care they need on laundry day. Wrinkle Guard technology prevents set-in wrinkles after the dry cycle while SmartDry technology takes the guesswork out of getting your laundry nice and dry. 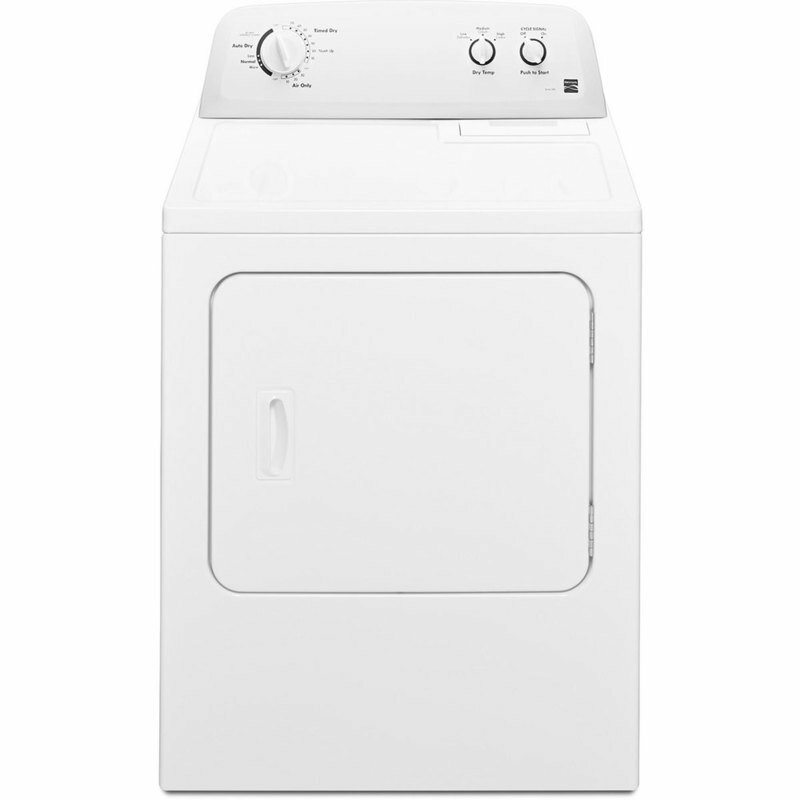 Make laundry day work around your schedule with this white Kenmore electric dryer. The delivery fee for Sears/Kenmore Direct to Home Delivery is $50 for the first item and $25 for any additional items on the same order.